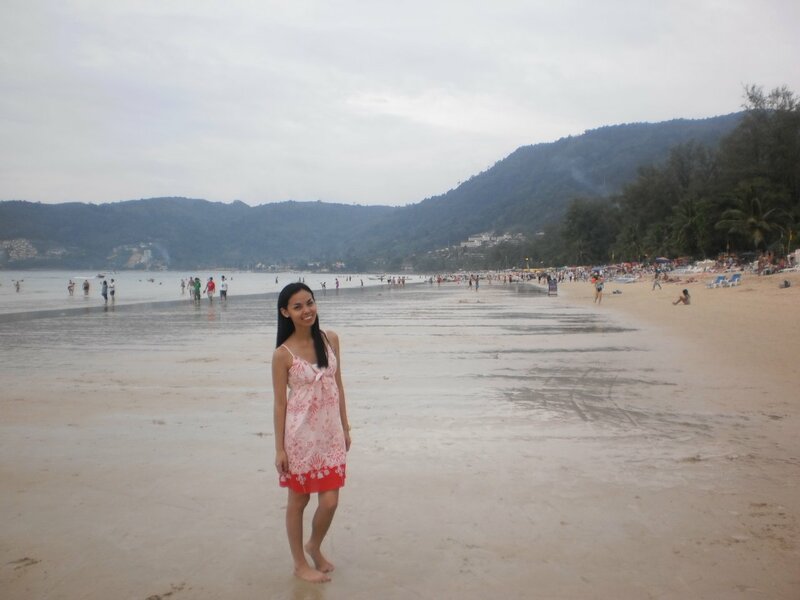 Phuket, Thailand – i am uniquely and wonderfully made. Last 2010, I thought of doing something different on my birthday. So at the crack of dawn when I turned twenty-something, I had my bag ready and flew SOLO from Kuala Lumpur, Malaysia to Phuket, Thailand. Some friends thought it was crazy for me to travel alone, I cannot think otherwise. It was a crazy idea indeed and that was the point of the adventure – to be crazy and simply have fun. 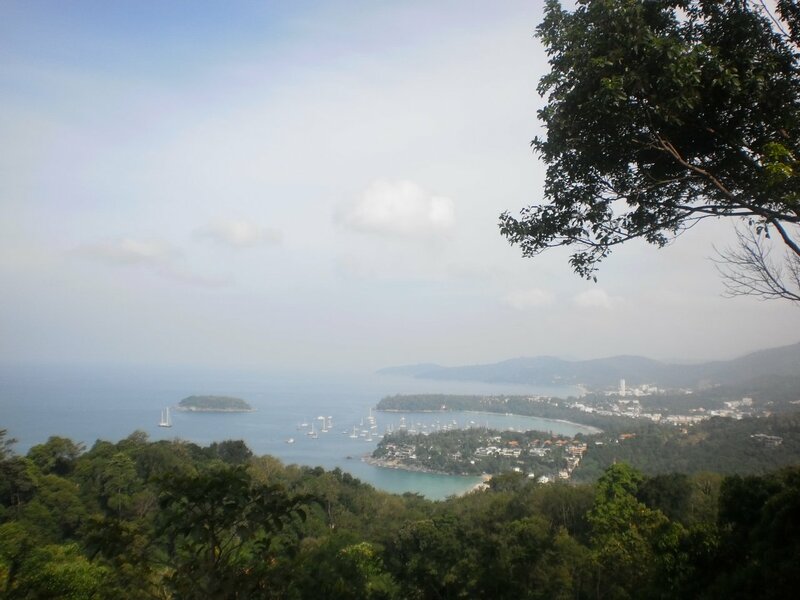 Phuket has been infamously known for its night life, but my trip proved that there is more this island can offer. The hotel staff knew it was my birthday so one of them thought what was appropriate of me and brought me to Wat Chalong. It is the largest temple in Phuket, with a Grand Pagoda containing a splinter of Lord Buddha’s bone. Wat Chalong, the largest temple in Phuket, with a Grand Pagoda containing a splinter of Lord Buddha’s bone. Inside Wat Chalong, the largest temple in Phuket, with a Grand Pagoda containing a splinter of Lord Buddha’s bone. 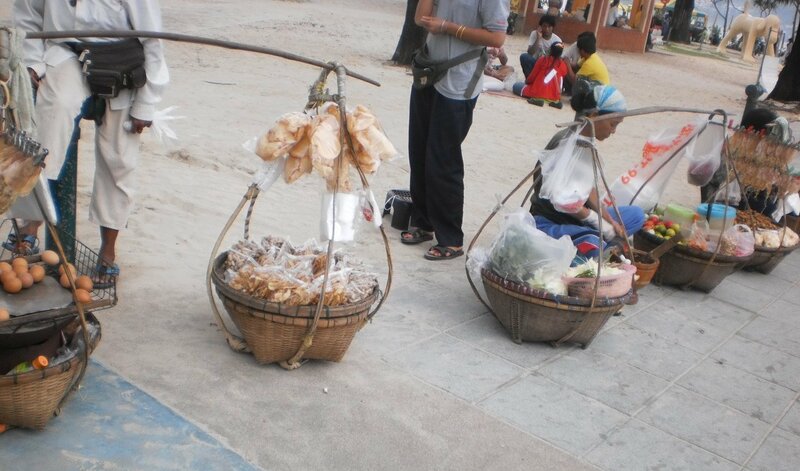 Thai people believe that elephants bring luck. While they are widely popular for tourism nowadays, elephants were very useful in the logging industry and they were in the old days trained for war. So as we drove, my guide thought I should feed an elephant. I have seen these giant mammals on tv and in zoos but this was my first time to see them up close. I felt very small and I knew I could die with just a kick. 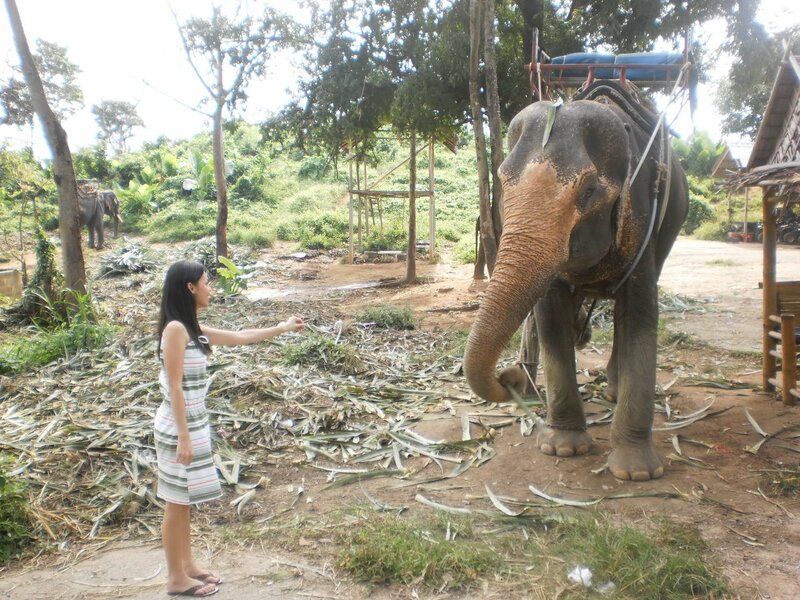 While my blog post about my elephant ride in Bali showed my enthusiasm, I was behaving oddly in Phuket. And you can tell from the photo. Trying to get over that awkward moment with the giants, we drove to Promtehp Cape viewpoint. Believe me, it was a sight to behold. I returned to my hotel for a quick fix and headed out again to explore more . 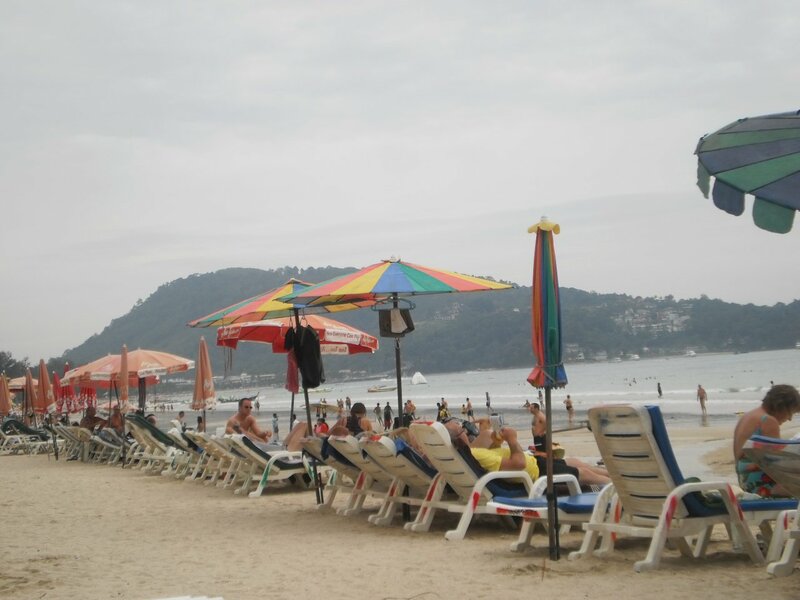 The hotel was just a quick walk to Patong Beach. 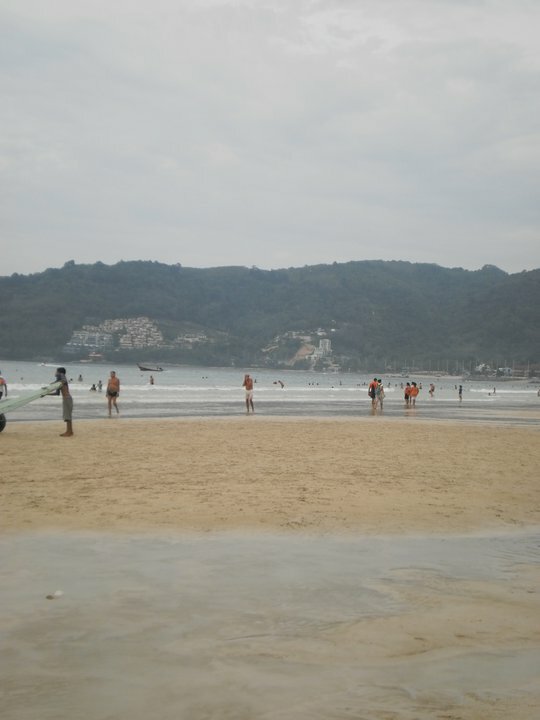 The beach was crowded and it drizzled but it was still beautiful. 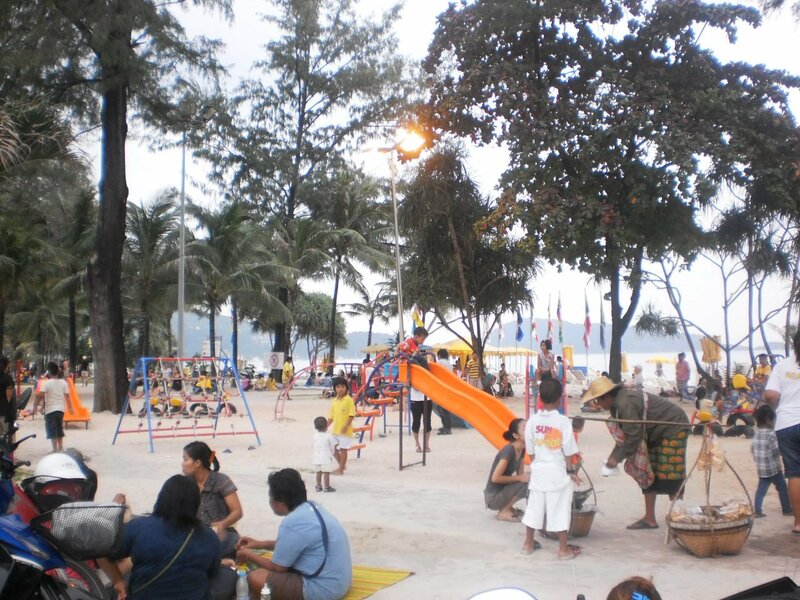 If you are looking for a quiet beach, Patong is not for you. 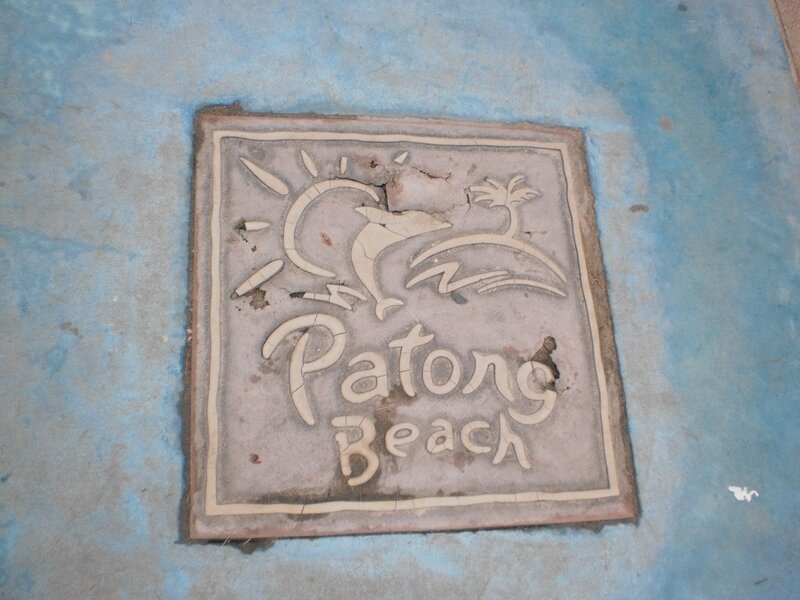 This beach is packed with activities, of people, of faces, of stories. I stayed until sunset and waited for a group to fly sky lanterns. I was overwhelmed, I have always been a huge fan of lanterns and lamps. I was too overwhelmed I did not take photos. I guess I just wanted to breathe in the moment that I was there. That moment I am thankful to be alive. 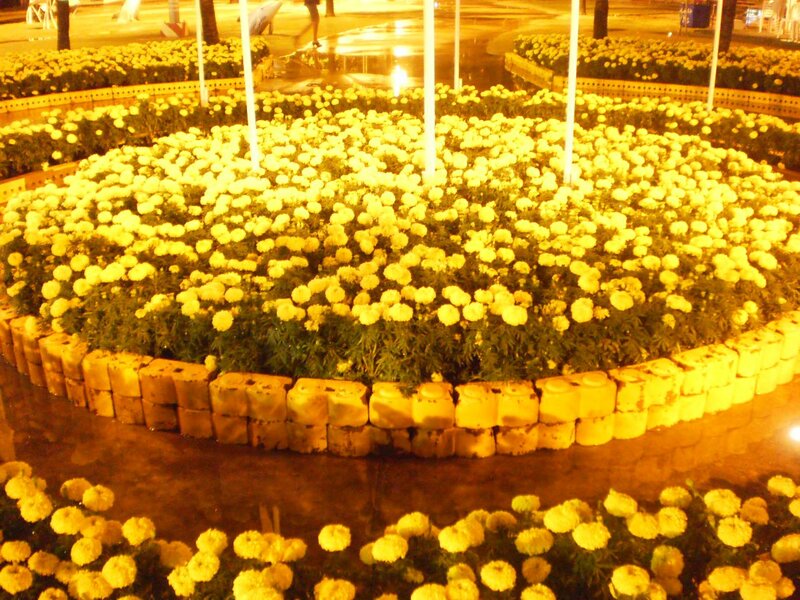 On my way to dinner, I passed by Loma park and I was surprised to see all yellow flowers everywhere. 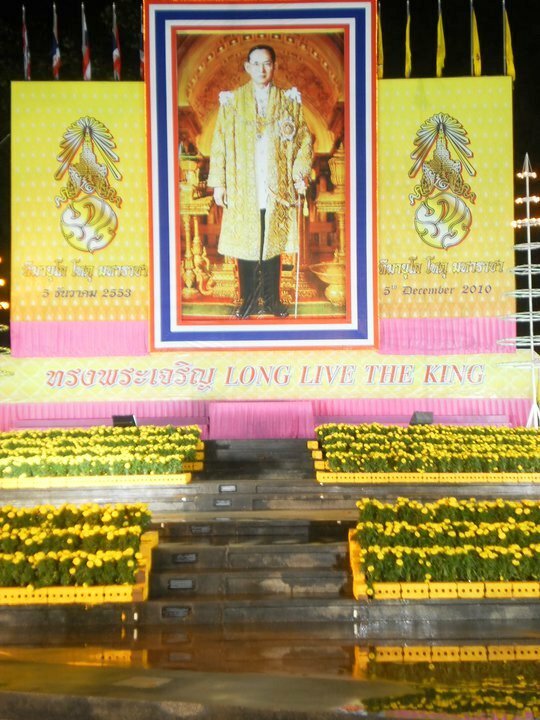 It dawned on me that it was also Thailand’s Agong’s (King) birthday. 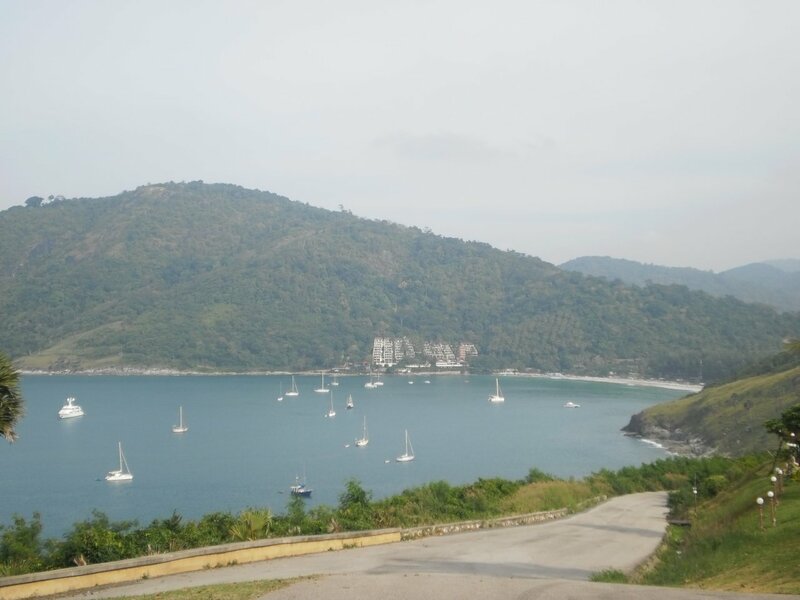 Phuket has a lot to offer. 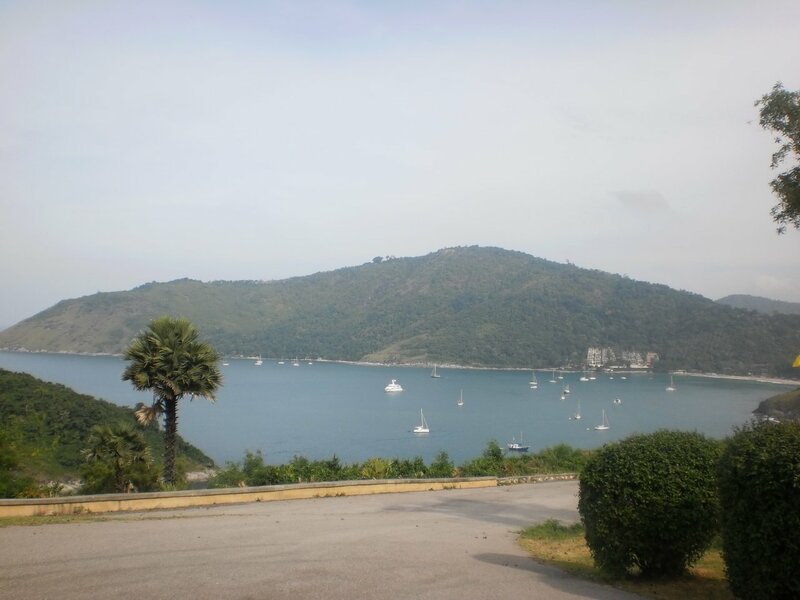 I stayed in the island for 3 days and had tours which I will blog about soon. But that day, it made me feel like a royalty, on my birthday!